How do I embed 360 images on Shopify? 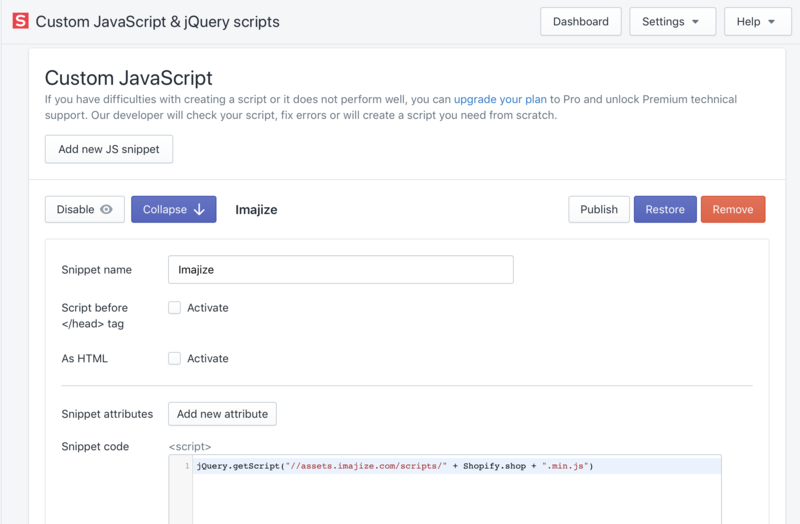 Imajize enables you to easily embed a 360° product spin into any Shopify product page by simply copying and pasting an embed link that is generated by the Imajize system. First you need to create an Imajize account here and create some 360 spins. Once you have done that simply follow the instructions below to publish your 360 views on Shopify product pages. Add a 360 product image to a Shopify product page. Log into your imajize account and find the product view you want to add. Log into your shopify account. Navigate to the product page you want to edit. 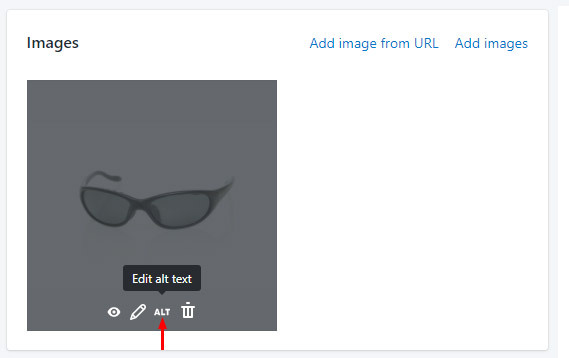 If you haven't already done so, add a static product image like you normally would. 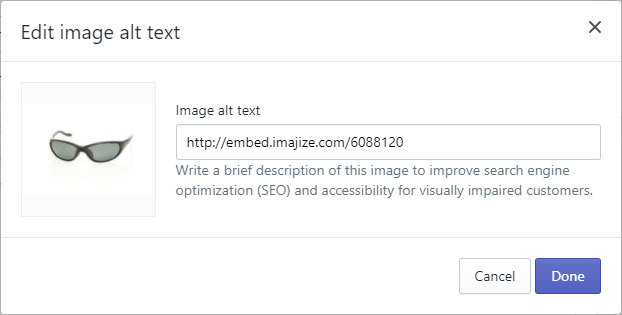 After the image has been uploaded, hover over the image preview and then click "ALT"
Now paste the embed code that you copied from the imajize Embed page. That's it! You will now see the 360 view on your product page.